Searching for a place to settle down near Charleston, SC? You’ll be delighted with the convenience and charms offered by James Island. Located just five minutes from downtown Charleston, this large sea island is close to the best shopping, dining and amenities in all of Charleston County. Easy access to historic downtown Charleston isn’t the only appeal of James Island. Boasting top-notch schools, outdoor amenities, as well as a rich, lively culture, it’s not difficult to see why so many families plant their roots on the beautiful sea island. Let’s explore more deeply why James Island is a great place to live, work and play. One of Charleston’s most unique sea islands, James Island boasts a rich history that dates to the 17th century. First established as Jamestown in 1671 by English settlers, the island was previously occupied by native American nomads. They primarily hunted for their food, taking advantage of the plentiful seafood along the island’s waterways. As early as 1609, Spanish explorers documented their encounters with the Stono tribe, who occupied both James Island and Johns Island. In 1666, English settlers also recorded two different tribes — the Stono and the Kussoe — on James Island. Although early settlers initially found the tribes friendly, tensions between the native Americans and the colonists came to a head in 1674. This resulted in the tribes coming together to fight against the European settlers. Their combined forces were no match for the colonists, who defeated them handily and took control of the island thereafter. With its proximity to Charleston, James Island made for an ideal location to set up lookouts for pirates in the 17th century. Prior to early colonial settlement, pirates frequented the island to stock up on supplies before heading back out to sea. In the early 18th century, the island raised its first militia. Led by Colonel William Rhett, the militia was born out of concern over a French and Spanish invasion in 1706. In 1708, construction of historic Fort Johnson began. Located on the banks of the Ashley River, the fortification is named after Sir Nathanial Johnson, proprietary governor of Carolina. The fort remains a popular historical site on the island and is listed on the National Register of Historic Places. James Island played critical roles in both the American Revolution and the Civil War. It acted as a defensive wall for Charleston in 1780, and later in 1862 through 1864. The island was the site where the last battles of the American Revolution took place, as well as the site from which many shots of the Civil War were fired from Fort Johnson. Today, James Island is known for its laid-back, unpretentious vibe. The island’s picturesque views and relaxed atmosphere are just the beginning of the many benefits this island has to offer its residents. Apart from living on the peninsula itself, James Island is the closest suburb to Downtown Charleston. Those who choose to work in the Holy City and live on James Island will find the commute much easier compared to Charleston’s other sea islands. James Island boasts some of the best public schools in all of Charleston County. Because of this, many families choose to send their kids to James Island Charter High School because it is highly rated and provides great opportunities. There are two middle schools and four elementary schools on James Island for parents to choose from as well. Of these schools, Fort Johnson Middle School and Harbor View Elementary School stand out with high ratings. James Island provides a warm, welcoming and inclusive atmosphere. Because of this, residents here are generally not pretentious and fit the island’s laid-back vibe. However, don’t mistake being laid-back for a lack of caring. 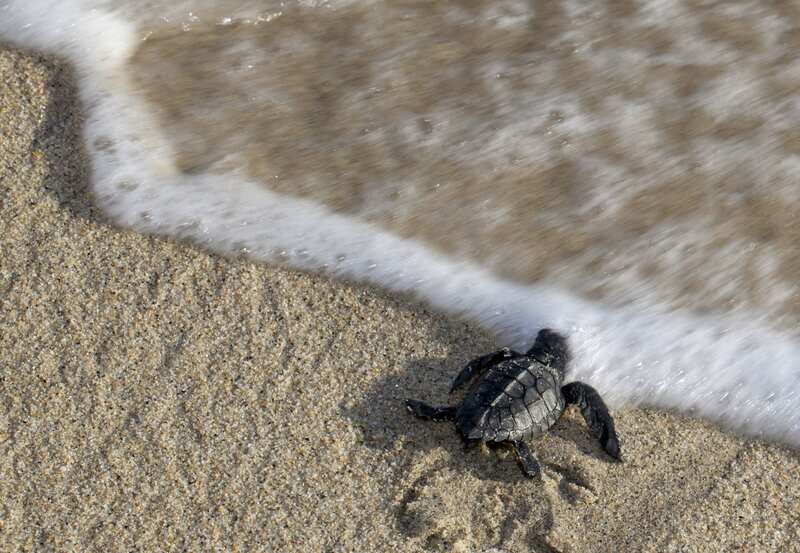 James Island residents are passionate about preserving the natural environment. Many fight vigorously against large-scale development of the area. This is especially true when it comes to protecting trees like ancient live oaks. Although families are serious about protecting the small-town feel of the island, the community is also welcoming to newcomers and visitors alike. If you want the best for your kids and do your part to make James Island a better place to live, you’re sure to fit right in with this welcoming crowd. Living in James Island, S.C. means that you’ll have easy access to the beach. 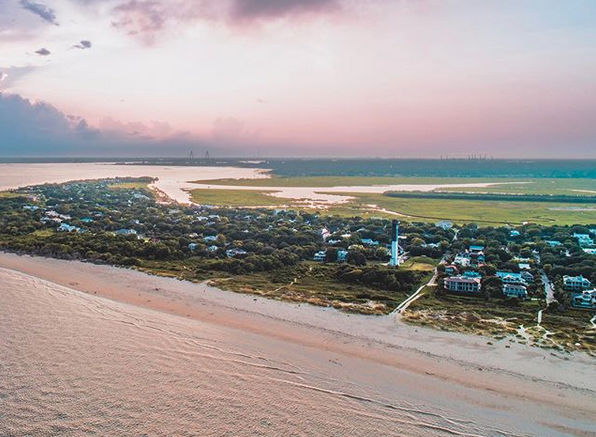 James Island is essentially Folly Beach’s neighbor, making it a convenient 5-15 minute drive to one of the most family-friendly beaches in all of Charleston. Some homes on the island are within biking distance of Folly beach. If you’re looking for a home on James Island, chances are good that you’ll find an attractive home just minutes away from the sound of ocean waves. For a modest island, James Island has a lot of history packed into it. When your friends and family visit your home in James Island, there are plenty of fascinating historical sites you can take them to. One of the most popular historical sites in James Island is McLeod Plantation. Located along Wappoo Creek, the historic plantation was established in 1851. It was largely successful due to its production of Sea Island Cotton. 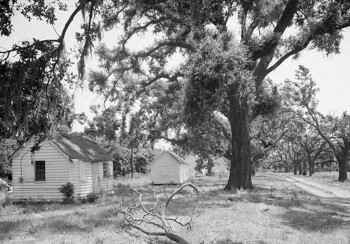 The plantation played a significant role in the American Civil War is an important Gullah Geechee heritage site. Another notable historical site is Fort Johnson. 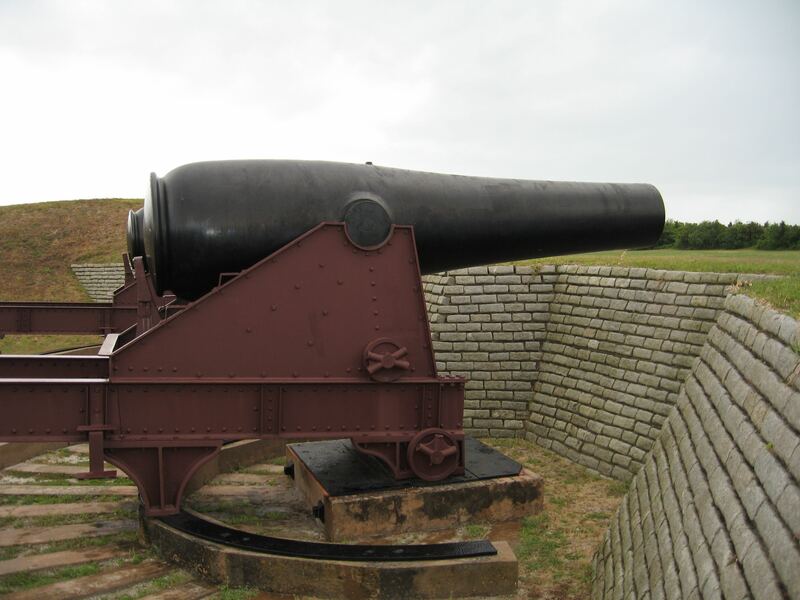 Located at the northeast point of James Island, the fort held military and political significance during the colonial era. It is also the site where the South Carolina state flag was first flown in 1775. Lesser known is Secessionville Historic District, an area on the island that honors those who fought in the Battle of Secessionville. The district includes a few historic homes — one Victorian and two Antebellum Greek Revival homes — as well as the unmarked grave representing over 300 Union soldiers. 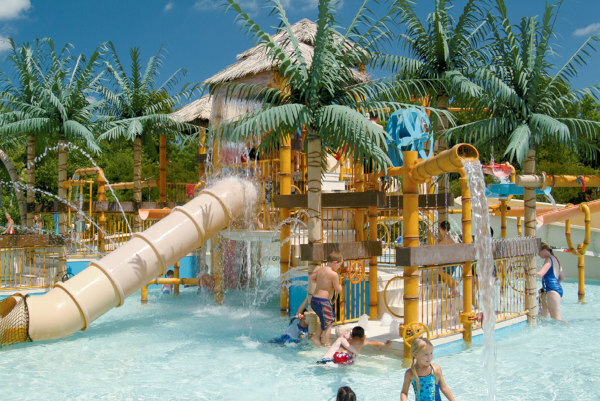 James Island boasts a wide variety of fun activities for the entire family to enjoy. 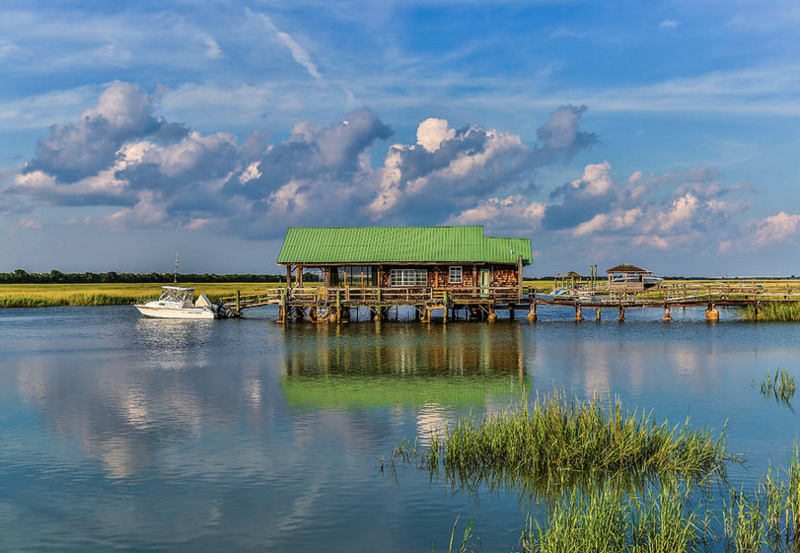 From live music and concerts at the Pour House to the family-friendly James Island County Park, you won’t have trouble finding things to do on this quaint sea island. Searching for fun, outdoor activities to do with the kids? Need ideas for date night in James Island? You can always count on James Island County Park to make lasting memories. James Island County Park has it all: playgrounds, a water park, a dog park, open spaces, a climbing wall and a fun splash pad that your little ones will love. That’s not all the 643-acre park has to offer. The park also features plenty of activities like nature trails and paved trails, tidal creek fishing opportunities, volleyball courts, kayak rentals and much more. During the holidays, the park is lit up with millions of lights as part of the annual Holiday Festival of Lights. 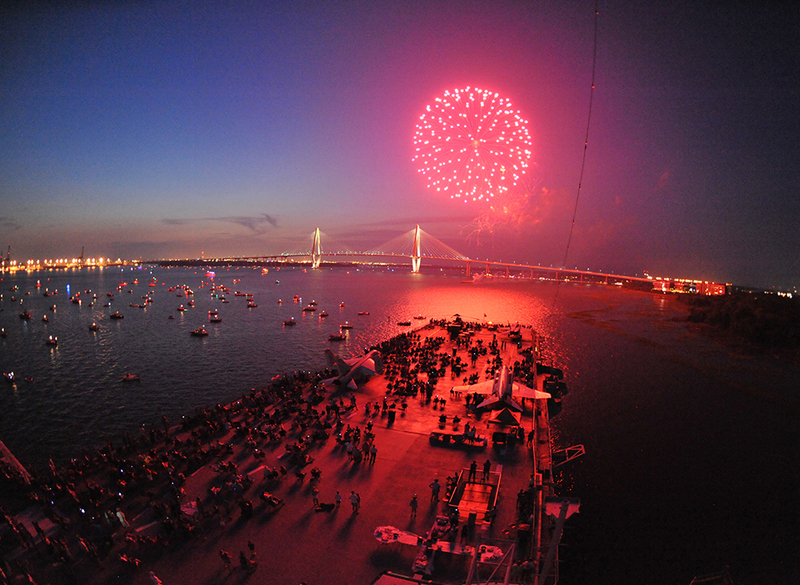 A dazzling spectacle, this much-loved event is a delightful tradition for many Charleston families. The unique Terrace Theater is a five-screen art house cinema with a funky, retro vibe. This James Island Movie theater is a fun place to catch both independent films and popular showings. Serving both traditional and unique concessions, the theater is also a fun place for date night. With a huge variety of craft beers and fine wines, independent films and quality atmosphere, it’s not surprising that the Terrace is consistently voted the best movie theater by Charleston City Paper. Terrace Theater is locally owned, and residents love to support this treasured cinema. The theater owners are known for giving back and are deeply involved in many charity events that aim to enhance the community. If you’re interested in Charleston’s local music scene or simply want to take in a live performance, the Pour House in James Island is the spot to go. With eclectic street art, music and a fantastic bar, this no-frills tavern is a favorite hangout for locals. Featuring local and national touring bands, the Pour House has earned its reputation for being one of the best concert venues in the Charleston area. This top-notch venue has incredible sound, relaxed atmosphere, great beer and exceptional eats. 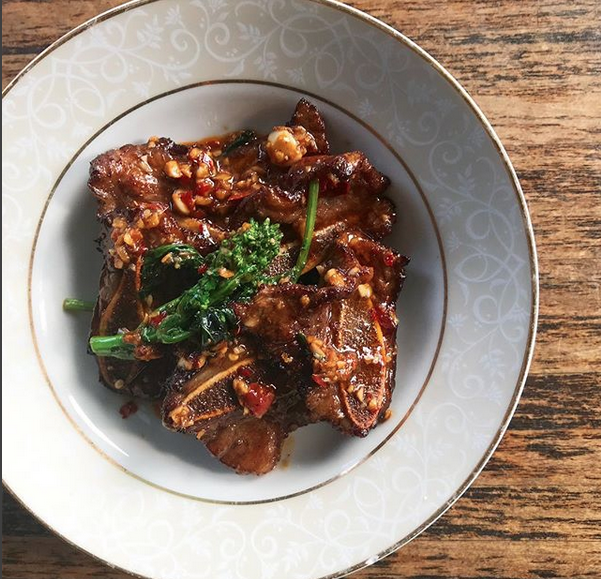 If you’re more interested in a great dining experience with a side of live music, check out Kwei Fei the popular Chinese restaurant that opened next door to The Pour House in November 2018. 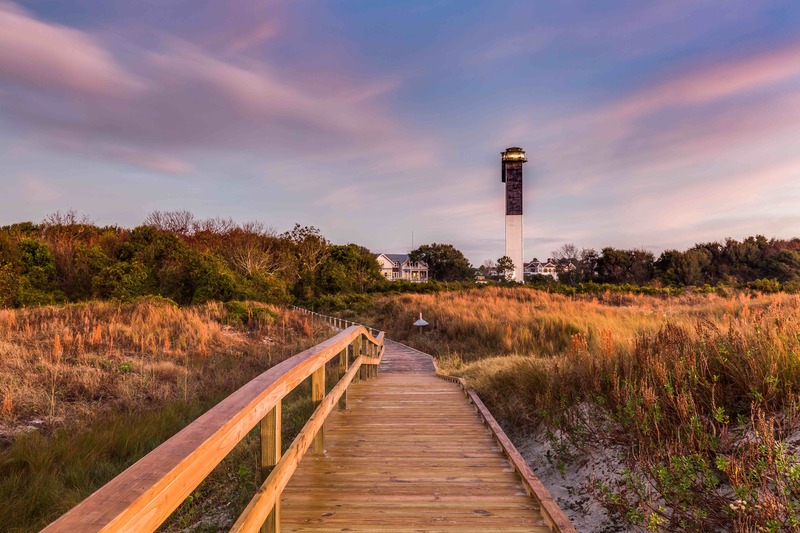 If you’re looking to disconnect for a while and breathe in some fresh air, James Island has plenty of opportunities for you to do so. In addition to the massive James Island County Park, the island also features a host of quiet spots to explore. The Fort Lamar Heritage Preserve is not only a cool historical site, but it’s also a nice little nature trail with trees providing ample shade. Melton Peter Demetre Park — aka, “Sunrise Park” — provides a fantastic view of downtown Charleston and a great place to cast a fishing line off the pier. 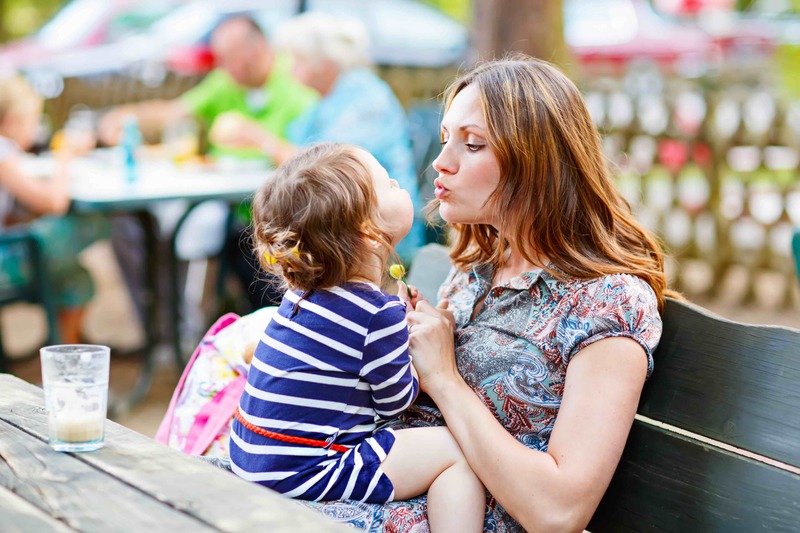 Get out with the kids and let them explore the playground at Pinckney Park. Or, take the older kids and walk along the beautiful nature trails. When we say the entire family, we mean the dog too! James Island has no shortage of pet-friendly places to bring your furry friend. Many of the places we’ve listed here are pet-friendly, including James Island County Park and the Pour House. But, there are also top-notch restaurants that welcome Fido. For instance, Smoky Oak Taproom is renowned for having some of the best barbecue in all of Charleston. They also welcome dogs in the outdoor patio area. 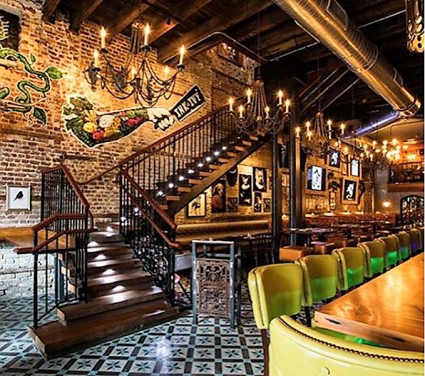 The Barrel features 33 taps of local and regional craft beer, has live music and food trucks and is perhaps Charleston’s most dog-friendly bar. Want to get social with your dog? Take your pup to James Island’s Yappy Hour. 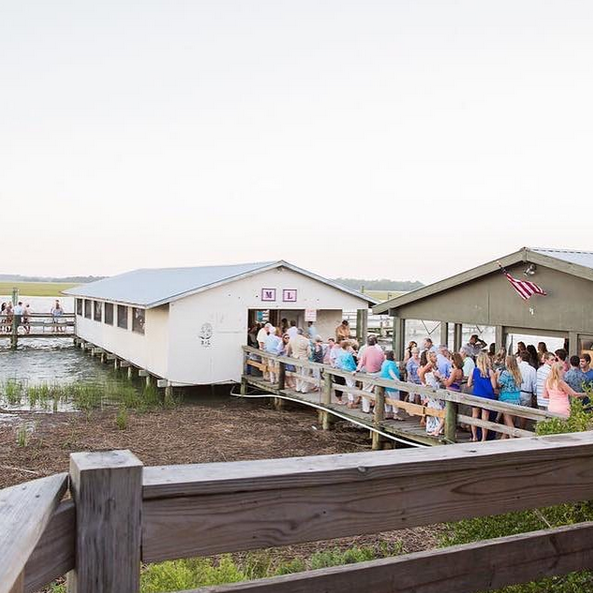 This family-friendly social event features live music and beverages at the dog park located at James Island County Park. Most importantly, you’ll find plenty of other folks who love their four-legged friends as much as you do! The Holiday Festival of Lights is just one example of the many fantastic events that James Island puts on each year. From cultural celebrations to savory food festivals, the island attracts visitors from all over the world for its lively festivities. As a resident of James Island, you’ll have easy access to all the fun activities located on the island. Therefore, you’ll also be close to nearby Folly Beach and Charleston. Take the kids to the Lowcountry Cajun Festival at James Island County Park and let them enjoy the carnival. This will give you a chance to taste of the numerous Cajun and Creole foods. The Charleston Outdoor Fest is another yearly event that takes place on James Island. It is the perfect time to try out stand-up paddleboarding or test your skills at archery. Nearby on Folly Beach, there are always exciting events that the family will love. Check out FollyPalooza, a festival that raises money for cancer patients. Packed with activities, live music and food trucks, this fun-filled fest is a guaranteed good time. 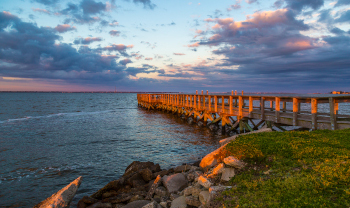 With its welcoming, family-friendly neighborhoods and easy commute to Charleston, James Island is no longer a well-kept secret. Today, families are flocking to this charming island to settle down and raise their kids. Is James Island calling your name? From spacious lots and grand homes to smaller townhomes, there are James Island homes for sale that could be your new forever home. Get in touch with us! 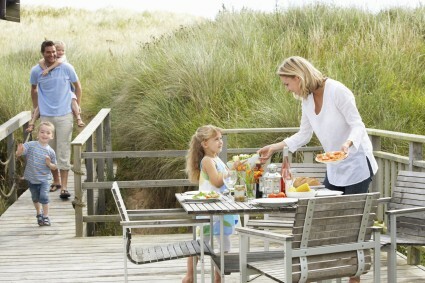 One of our James Island experts will answer any questions you might have about this wonderful, family-oriented island. Charleston is every foodie’s dream come true. 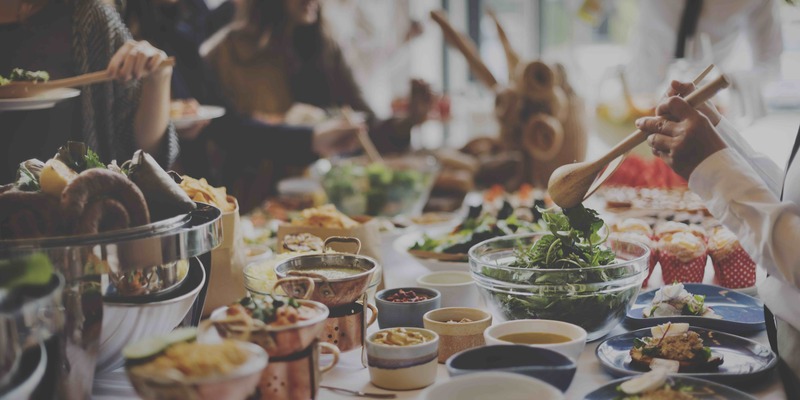 Jam-packed with award-winning restaurants, world-renowned chefs and homegrown flavor at every turn, the Holy City’s food scene has something for every food enthusiast to enjoy. Explore the Cannonborough/Elliotborough neighborhood and you’ll discover a mix of modern townhomes and condominiums alongside historic homes. The living options reflect the mix of residents in this up-and-coming area, which consists of young families, blue collar workers, students and retirees. 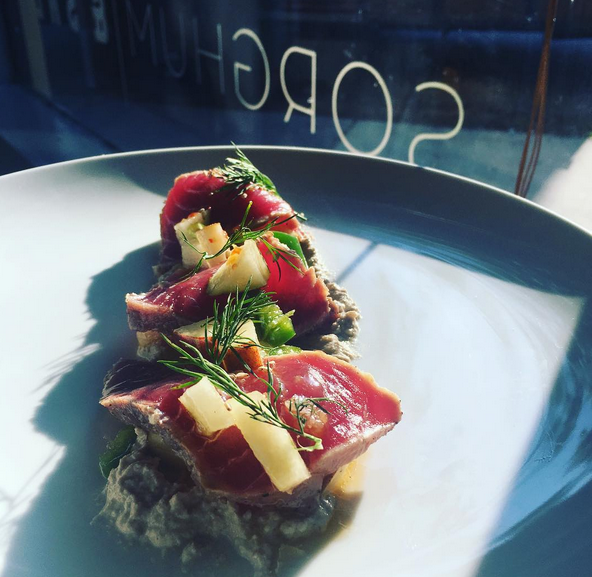 Cannonborough/Elliotborough borders the Upper King Street restaurant district, which means that residents are never far from some of the best dining on the Charleston peninsula. One of Charleston’s most beloved restaurants, Hominy Grill attracts foodies from across the globe to try its traditional Southern fare. 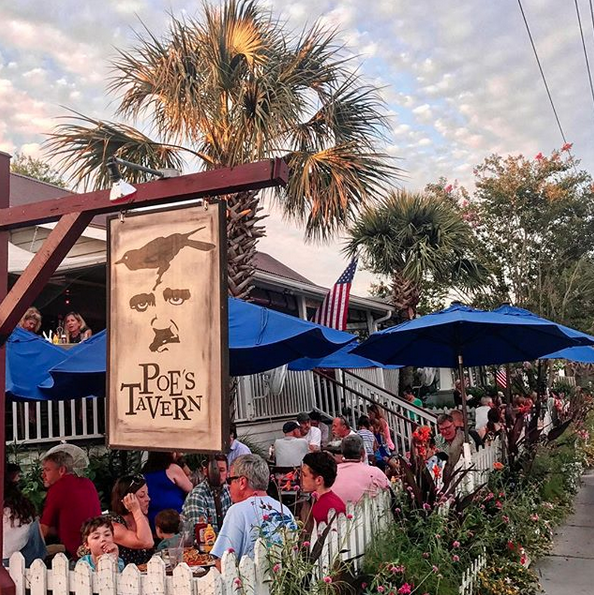 Located inside a free-standing historic house, the cozy and lively atmosphere pairs perfectly with the Lowcountry classics served at this renowned establishment. Chef/owner Robert Stehling won the James Beard Award for Best Chef Southeast in 2008 for his simple yet authentic Lowcountry-style specialties. From his she-crab soup and fried green tomatoes to his sesame fried catfish po’ boy, everything on the menu at Hominy Grill is a home run. 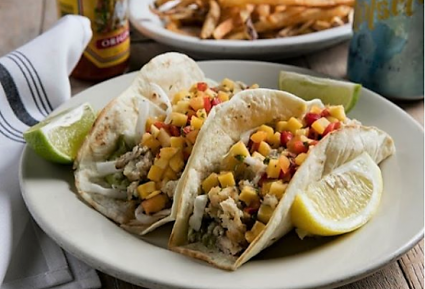 If the wait at Hominy Grill is too long, consider trying Fuel Charleston, located right across the street Featured on Food Network’s “Diners, Drive-Ins and Dives,” the laid-back pub with a Caribbean-style menu makes for a great casual lunch spot. Sip a Guava Mojito or Fuel Island Tea as you nosh on braised pork tacos or a fried fish sandwich. They also have a delicious brunch menu featuring Lowcountry classics such as local shrimp and stone-ground grits. 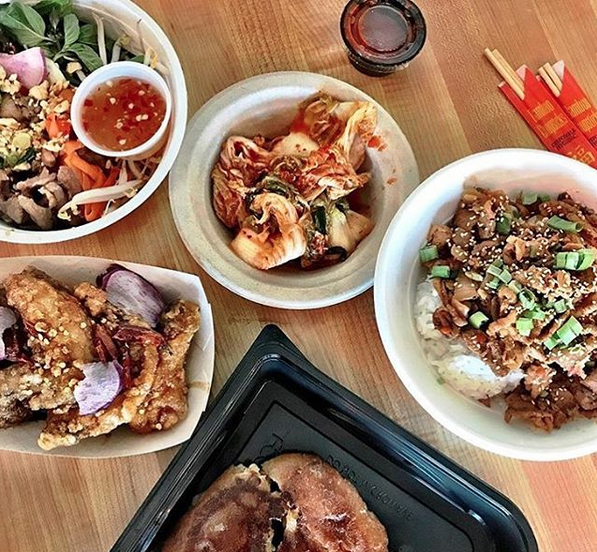 Set in a former gas station, Xiao Bao Biscuit brings a fun and creative mix of flavors to Charleston’s rising food scene. Featuring a variety of comfort foods from Thailand, China, Korea, Japan, Vietnam and Taiwan, this hip eatery offers variety to a city packed with Southern classics. One of the dishes people can’t get enough of is their okonomiyaki covered in “pork candy,” a savory Japanese pancake made with flour, eggs and shredded cabbage. If spicy food isn’t your thing, be sure to ask the friendly wait staff for recommendations. Considered one of the best oyster bars in the Lowcountry, The Ordinary is a hotspot in Cannonborough/Elliotborough. Operated by the same people who run farm-to-table favorite FIG, The Ordinary has won many accolades for its great selection of fresh, local seafood. Led by chef Mike Lata, The Ordinary is housed in a former 1920s bank that features a dramatic setting, complete with high ceilings and rounded windows. 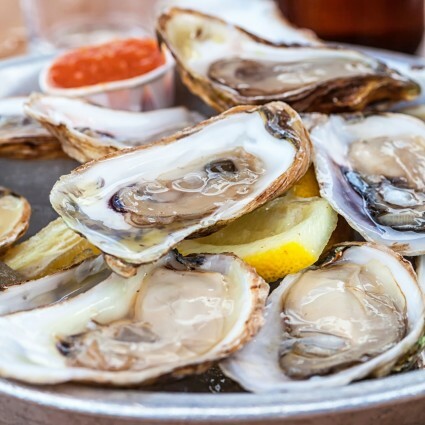 With a wide variety of hot and cold items on the menu, this oyster hall has something for everyone. Harleston Village is one of Charleston’s oldest neighborhoods. Boarded by Calhoun, Broad and King streets and the Ashley River to the west, this vibrant neighborhood was established in 1770, the same year as the College of Charleston. Diverse and lively, Harleston Village neighborhood is home to families, college students and professionals alike. 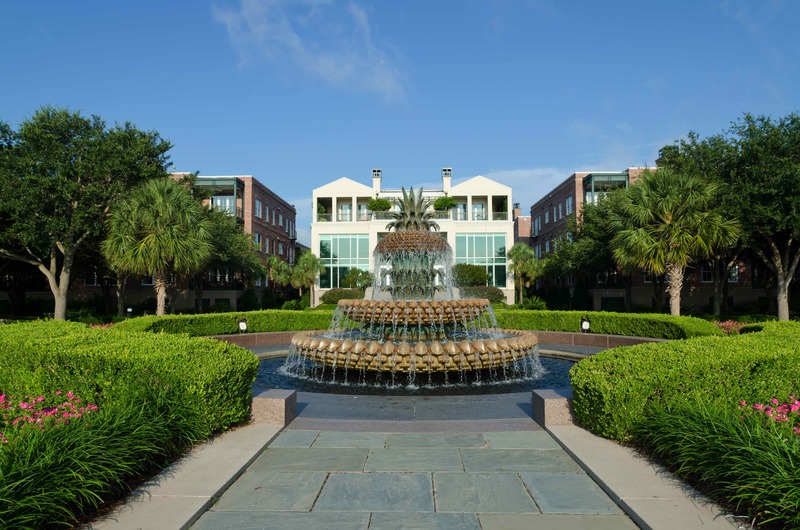 With its close proximity to shopping, dining, prestigious schools and well-kept public parks, Harleston Village is a great place to live, work and play in historic downtown Charleston. As if that weren’t enough, this neighborhood is known for its amazing restaurants. Whether you’re in the mood to sip French wines while snacking on cheese and charcuterie or you prefer to dine at Charleston’s most romantic restaurant, this vibrant neighborhood has your epicurean needs covered. Full of natural light and trendy décor, Basic Kitchen serves healthy dishes in a low-key, modern atmosphere. But make no mistake, there is nothing basic about the diverse flavors at this hip eatery. From scrumptious fish tacos to rainbow veggie bowls, Basic Kitchen uses seasonal, local produce to create dishes that are both delicious and nutritious. Whether you’re a vegan, vegetarian or pescatarian — or you simply want to enjoy a healthy meal — this little gem is a great spot for brunch or dinner. Wait times can be long, but the food is worth it. Order the cauliflower wings and their famous beet margarita — you won’t regret it! Charleston has no shortage of Italian restaurants, but Le Farfalle is a worthy addition to the city’s dynamic food scene. Located at 15 Beaufain Street, this regional Italian restaurant has a delicious menu tailored perfectly to Charleston. In addition to their house-made pasta and extensive wine list, Le Farfalle offers many dishes that are reimagined with a Lowcountry flare. The menu is always changing, but you’ll find cuisine such as the roasted duck rice bowl featuring Charleston Gold Rice and a fresh catch of the day, which highlights the city’s impeccable seafood. If you’re a coffee or tea aficionado, The Rise Coffee Bar at the Restoration Hotel is a must-try. This lovely coffee shop on Wentworth Street offers a European sip-and-stroll experience, complete with artisan coffee, tea, cold-pressed juices and freshly baked pastries. The Rise Coffee Bar partners with small batch coffee roaster Toby’s Estate and artisan tea maker Bellocq to deliver the finest coffees and teas in the Holy City. From lattes and cortados to their special Charleston tea blend, everything on the menu is bound to please any beverage enthusiast. If you’re a professor or student at the nearby College of Charleston, you can enjoy a special discount. Another added bonus: The Rise Coffee Bar has two outdoor tables that are dog friendly! It doesn’t get more romantic than Circa 1886. Located in the original carriage house of the Wentworth Mansion, this polished restaurant oozes romance and old Charleston charm. Much of the original design of the carriage house remains, including the wood-burning kitchen fireplace, wide pine floor boards and stable doors. Intimate without being crowded, Circa 1886 delivers a fine dining experience that makes it a hotspot for fancier date nights. Chef and co-owner Marc Collins, founder of the Charleston Wine + Food Festival, creates innovative Lowcountry dishes using seasonal ingredients. From buttermilk fried artichokes to white cheddar infused grits, anything you choose from the menu is sure to delight your taste buds. Charleston’s French Quarter is known for its cobblestone streets, beautiful courtyards, copious art galleries and stunning architecture. This charming district is bounded by the Cooper River, Broad Street, Meeting Street and Market Street. Named for the high concentration of French Huguenots in the area, the French Quarter is steeped in history. But in addition to its rich history, the small, quiet neighborhood also has a stellar reputation for refined restaurants and eclectic craft cocktails. For an exceptional dining experience in Charleston, it doesn’t get much better than McCrady’s. Helmed by James Beard award-winning chef Sean Brock, both McCrady’s Restaurant and McCrady’s Tavern delight diners with bold combinations and complex flavors. The two establishments are located side by side and provide two different dining experiences. McCrady’s Restaurant became Charleston’s only five-diamond-rated restaurant earlier this year and offers an upscale, experimental tasting experience. McCrady’s Tavern has a more casual vibe yet still provides an incredible menu with an amazing wine selection. A local favorite, this upscale restaurant serves refined Lowcountry cuisine that’s both exquisite and flavorful. Magnolia’s focuses on every small detail, from creation to presentation to service. Magnolia’s is great for a fancy night out or a special occasion. While a place like Magnolia’s might seem pretentious on the outside, the welcoming atmosphere and waitstaff are the perfect example of authentic Southern hospitality. Helmed by Culinary Arts Director Donald Drake and Executive Chef Kelly Franz, the menu at Magnolia’s will have your mouth watering. From classics such as shellfish over grits and the Down South egg roll to Lowcountry dishes with modern interpretations such as boiled peanuts, Magnolia’s menu is topnotch. Fancy yourself a craft cocktail? The Gin Joint is a budding mixologist’s paradise. Tucked away on East Bay Street, this cozy cocktail bar has amazing drinks made from scratch and delicious small plates to match. The Gin Joint opened in 2010 and was one of the first cocktail bars to begin serving the Holy City after the repeal of the mini-bottle law. Eight years have passed, but the Gin Joint remains a French Quarter hotspot for locals. Their spirits list is both creative and extensive, featuring drinks using local herbs and other local ingredients. Combined with the speakeasy vibe throughout the bar and an impressive list of elevated bar fare, the Gin Joint can do no wrong. 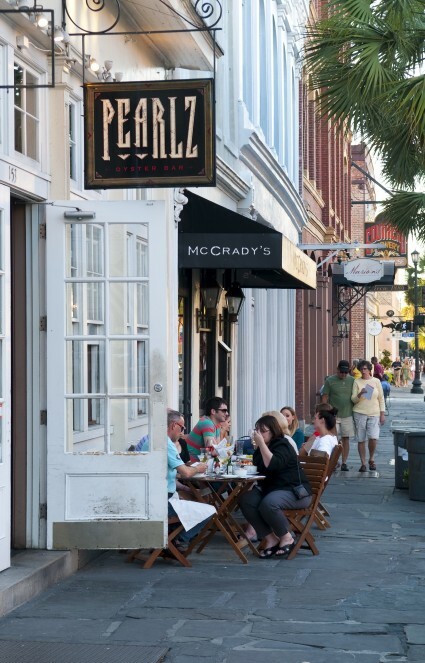 Insider Tip: If you enjoy wine tasting and art, check out the French Quarter Art Walk. Held the first Friday of March, May, October and December in Charleston’s French Quarter district, attendees can sample tasty wines as they browse more than 40 art galleries located on the historical streets of Charleston. Also known as Hampstead Village, this up-and-coming neighborhood has investment potential for new home buyers. This neighborhood has cleaned up well in the last decade and is now transformed into a hipster-driven haven. The modern, hipster vibe has influenced the restaurant scene in Eastside significantly. From craft cocktails at Mercantile and Mash to a savory bagel at Eastside Bagel, Hampstead has much to offer. Mercantile and Mash is located at the Cigar Factory. Once a cotton manufacturing facility in the 1880s, the Cigar Factory is now a mixed-used building that features high-end retail, professional offices and culinary delights. Venture through the Mercantile door to discover its gourmet food retail space, where patrons can order a stock of local culinary items, baked goods, fresh pastas, sandwiches, coffee and dessert. From the flaky chocolate croissants to the charcuterie selections, you won’t be leaving Mercantile hungry. Now step inside Mash, a cozy, laid-back bar serving a wide selection of domestic whiskeys and local beers. The knowledgeable bartenders are always ready to talk whiskey and will make you an amazing Old Fashioned using a type of whiskey exclusive to Mash. Along with its boozy offerings, Mash also boasts an indoor bocce court, shuffleboard and arcade games. This festive Mexican bar and restaurant is a solid addition to Charleston’s growing food scene. Not only are the tacos unique and delicious, but the staff are always friendly and accommodating to all. 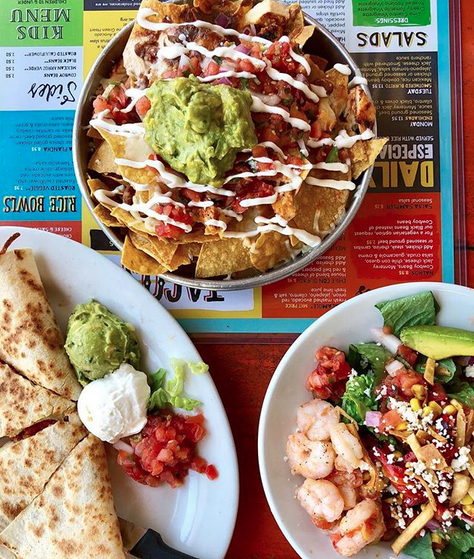 Whether you’re a vegetarian, a carnivore or gluten-free, you’ll love Taco Boy. The roasted cauliflower taco and tempura avocado are scrumptious, and the guacamole is a must! If you’re a meat-lover, the carne asada quesadilla and street tacos won’t disappoint. For a cheap but delicious meal, Eastside Bagel is the place to go. Tucked away a few blocks from Meeting Street, this one-of-a-kind bagel shop offers large steamed bagels that are packed with flavor and utterly unique. From its cheeses and meats to the bagel bread, Eastside Bagel takes its ingredients seriously. Whether you choose the traditional breakfast bagel with ham, egg and cheese or the Nassau, a salami and veggie cream cheese bagel, it’s guaranteed to hit the spot. If you’re hungry for lunch, they also have plenty of satisfying options that will turn you into an Eastside Bagel convert. However, you may want to take your food to go. The shop is small with not much seating. As you can see, culinary delights abound in Charleston. With our award-winning restaurants and tasty craft beverages, it’s not surprising that so many chefs are flocking to the Holy City. 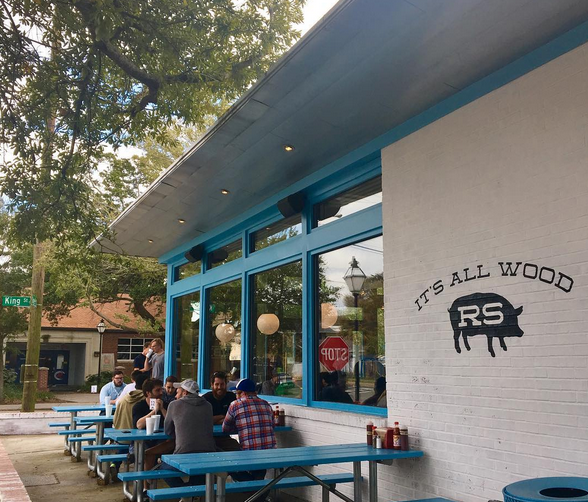 If you’re getting ready to put down roots in Charleston and you are passionate about food, you’ll fit right in here. We promise that you won’t be disappointed with the rich culinary offerings in these Charleston foodie neighborhoods. History buffs will appreciate the extensive renovation of this charming restaurant. The building dates back to the early 1800s and sat abandoned since Hurricane Hugo. During renovations, spearheaded by local architect Reggie Gibson, as much of the original building was left intact as possible. The interior features a contemporary dining room downstairs, a romantic space upstairs, and a picturesque courtyard overlooking King Street. At 492, enjoy executive Chef Josh Keeler’s award-winning cuisine from lamb to swordfish, just be sure to save room for one of their scrumptious desserts! If you are looking for something different from the typical Lowcountry cuisine, try Stella’s. 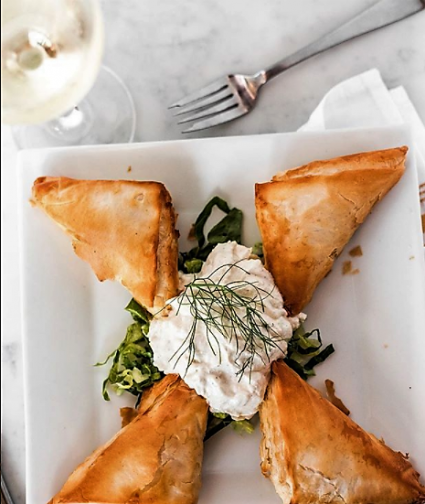 This classy throwback diner offers traditional Greek dishes and shareable meze (happy hour with small pates and drink specials) along with a special Mediterranean style Sunday brunch. Special for Resaturant Week is $10 Apps/Meze and $20 Entrees/Main. Looking to nosh outside of the downtown Peninsula? 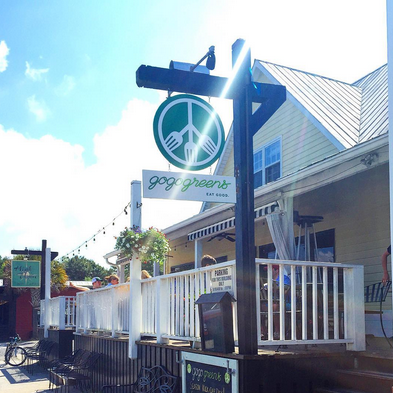 There are plenty of participating restaurants in Charleston’s surrounding communities too! Enjoy a Lowcountry inspired menu in the heart of Mt. Pleasant. The Granary’s menu focuses on the seasonal ingredients from the region that are sourced from local farms. The menu boasts a selection of Southern staples including baked oysters, fried chicken, and duck pot pie. Top it off with their signature seasonal punch, that they conveniently keep on tap. For restaurant week, The Granary is offering a number of 3 course options for $30. 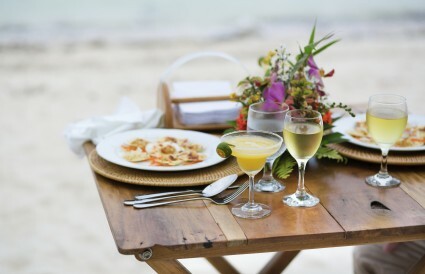 Yes, Charleston Restaurant Week spreads all the way out to Kiawah Island! Enjoy authentic Italian dishes from Chef Derick Wade while overlooking the Turtle Point Golf Course. Start any meal off with a bowl of warm tomato basil bisque. 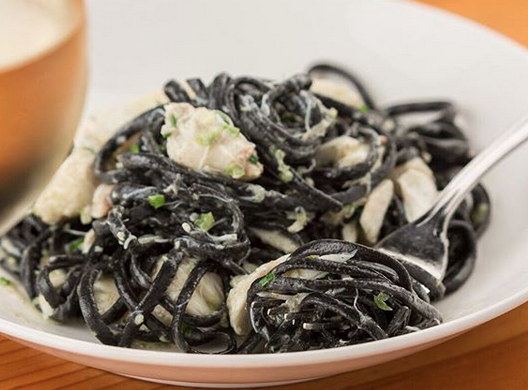 For restaurant week, Tomasso will be serving 3 courses for $30. There are so many terrific choices to dine in and around Charleston. For the full list of participating restaurants and their featured menus, check out the Restaurant Week page. Charleston’s culinary scene is booming, and chefs from across the country are flocking here to put down their roots. If food is your passion, then Charleston is your dream destination. Who can blame them? 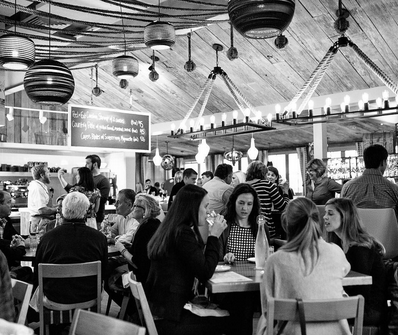 Charleston’s food scene is hot right now. Restaurants are popping up everywhere, featuring both traditional and modern dishes bursting with flavor from farm-fresh ingredients. The city’s diverse neighborhoods and unbeatable hospitality only enhance the culinary experience. Charleston is a vibrant dining destination that is luring food enthusiasts from all over with its delicious food and southern charm. Here is a deeper look into why the Holy City’s expanding food scene is causing chefs to pack up their knives and move to Charleston in droves. As a historic port city, Charleston was destined to become a mecca for aspiring chefs. Spurred by the Spoleto Festival in 1977, the Holy City quickly became a prominent food destination to accommodate the influx in tourists drawn by the performing arts scene. Today, many chefs, bakers, craft brewers, local food artisans, and more have found their perfect home in Charleston. This has made the city not only the ideal setting for aspiring chefs to flex their creativity, but also a great place to live and explore the diverse food scene. Whether you’re ordering shrimp and grits, she-crab soup, oysters, okra, or Frogmore stew, you won’t be disappointed with Charleston’s traditional Lowcountry cuisine. With its fertile lands, coastal location, and varied cultural influences, Charleston was destined to stand out with its own exceptional culinary dishes. 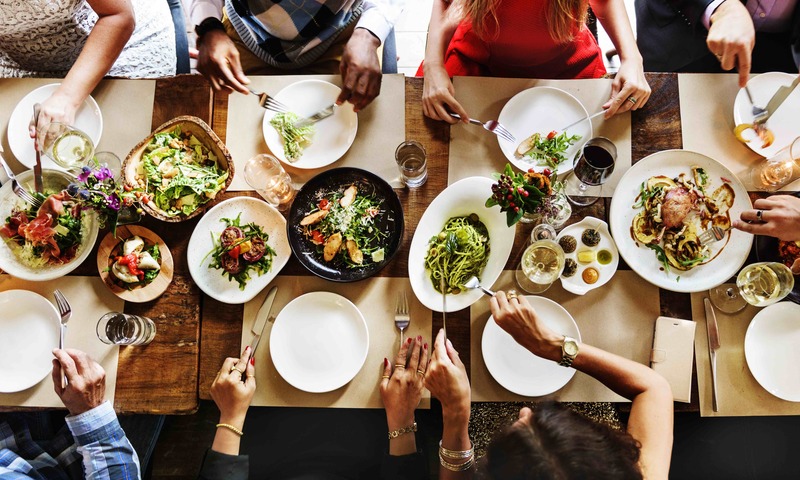 Traditional Lowcountry cuisine draws from African, French, English, and European influences to create a one-of-a-kind comfort food that locals and tourists can’t stop craving. Here, you can find local chefs cooking up Lowcountry classics, while others branch out and put their own unique spin on traditional dishes. Foodies come from all around the globe to taste the flavors of the many award-winning restaurants in Charleston. From fine dining to casual restaurants, Charleston has made a name for herself by offering some of the best food in the country. Husk, FIG, and Hominy Grill are culinary hotspots in Charleston, and all are winners of the James Beard Award. Many restaurants in the city have also been featured in prominent food magazines, such as Bon Appetit and Food & Wine. Want to take your culinary skills to the streets? Food trucks are expanding in Charleston, as both locals and tourists demand greater variety in their street food. Whether you’re looking to nosh on Caribbean Creole, Southern BBQ, gorgeous Greek food from the beloved Platia food truck or a tasty dessert from Sweet Lulu’s Bakery, there are some amazing food trucks here—and room for more if you act quickly. Each year, Charleston attracts more than 5 million visitors for its historic downtown, bustling art scene, and culinary offerings! In fact, South Carolina’s tourism is now a $19.1 billion industry, driven largely by the Charleston metro region. According to the 2016-17 Outlook Forecast from the Charleston Metro Chamber of Commerce, the city’s economic forecast shows continued growth in the tourism industry over the next two years. The thriving tourism industry is great news for chefs in Charleston. 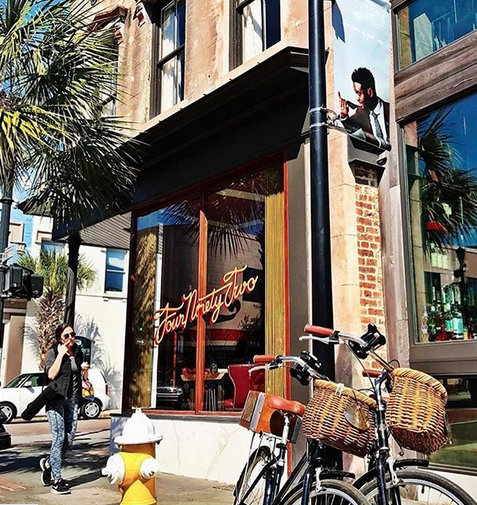 Locals and tourists alike are hungry for a taste of Charleston cuisine, and they have no shortage of options when it comes to exploring the city’s eclectic food scene. From guided food tours to the highly-anticipated Charleston Wine and Food Festival, the Holy City provides many reasons for foodies and chefs to visit year after year. You know you’ve reached culinary success when your restaurant is one of the stopping points on a Charleston food tour. The city’s burgeoning food scene has grown so much over the past decade that tasting tours are a must for people visiting the area. Charleston is a walkable city, making food tours extremely popular here. Give your taste buds a thrill and take a culinary tour on historic Upper King Street to sample the city’s finest food offerings. 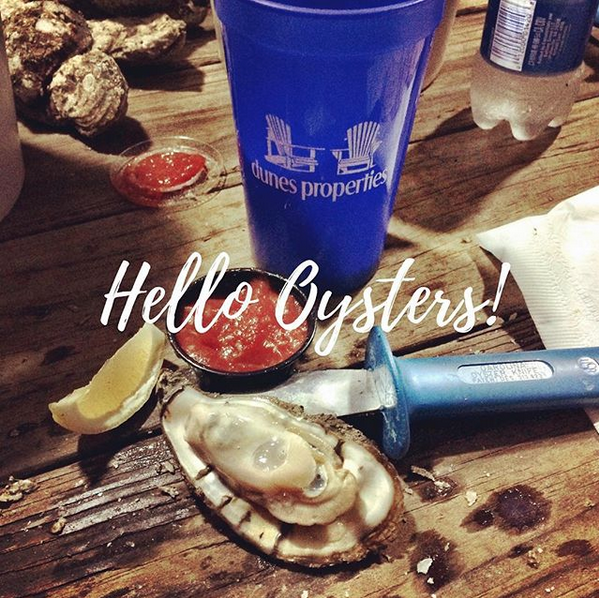 Ready to shuck some oysters? 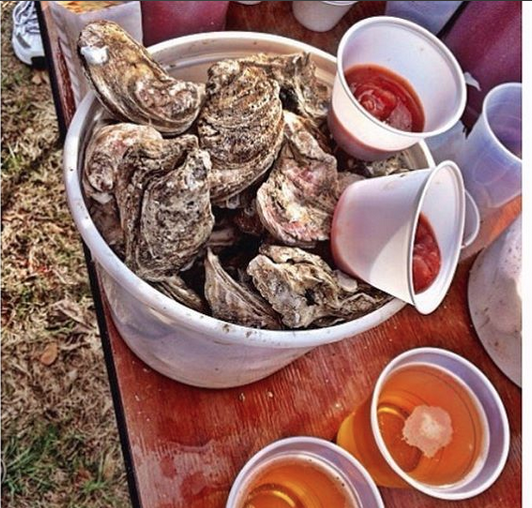 The Lowcountry Oyster Festival is the world’s largest oyster festival and attracts people from all over to devour steaming pots of oysters. Of course, it isn’t the only oyster roast that is popular in Charleston. 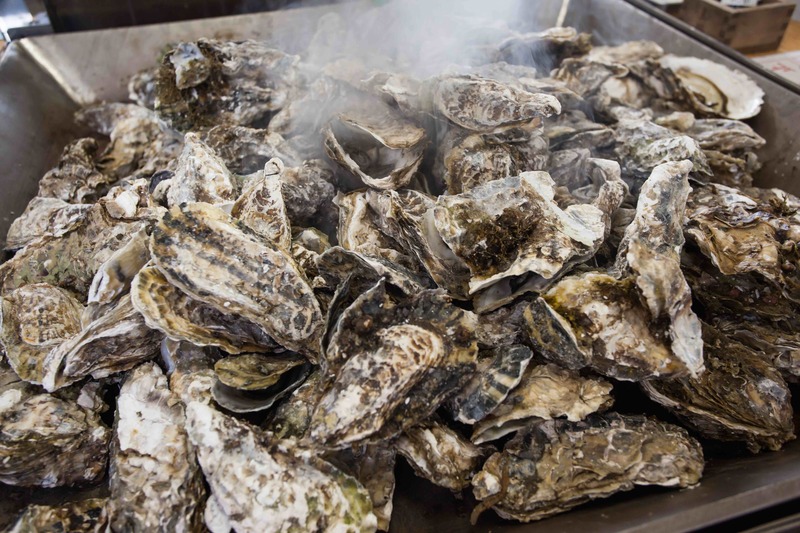 From Kiawah Island to Folly Beach, there are plenty of legendary oyster roasts scattered around the peninsula. Each year, foodies descend upon Charleston to attend the annual Charleston Wine + Food Festival to sample the rich flavors from the area’s best chefs, beverage makers, and artisans. Now in its 35th year, the festival brings people from around the globe to celebrate and experience Southern culture and cuisine. 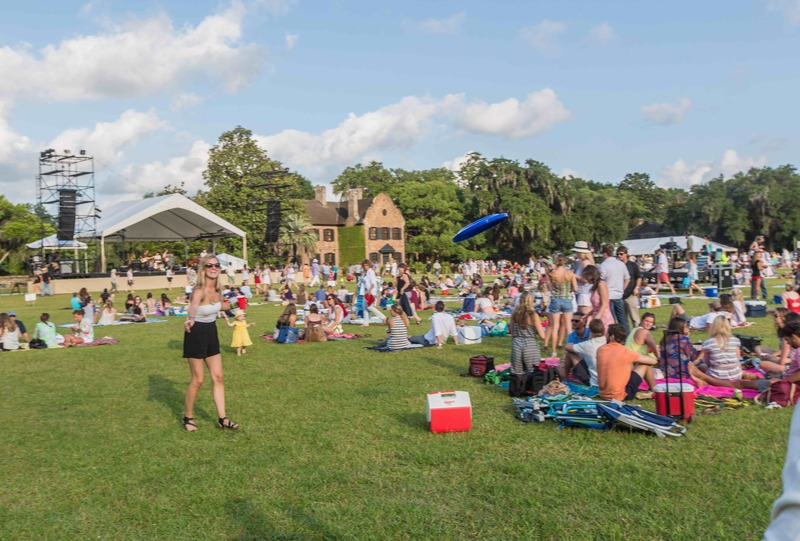 This five-day event is just one of the many festivals that attract tourists to America’s Best City, with the Spoleto Festival drawing approximately 70,000 visitors each year. If you need a bit of inspiration to fuel your passion for food, you won’t have to look far in Charleston. Inspiring figures are everywhere you look, from prominent chefs to local food artisans and Lowcountry farmers. Charleston has already attracted the top culinary talent from across the country and currently boasts many famous chefs, including James Beard Award-winning chefs Sean Brock of Husk, Mike Lata of FIG, and Robert Stehling of Hominy Grill. Other notable chefs include culinary legend Nathalie Dupree, Michelle Weaver (executive sous-chef at Charleston Grill), and Frank Lee of S.N.O.B. (Slightly North of Broad Restaurant). Each of these culinary experts has left a lasting mark on Charleston and has helped shaped the city’s food scene. Nothing beats the taste of freshly caught seafood and farm-to-table ingredients. 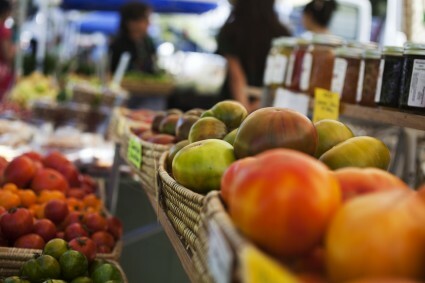 The local food artisans and farmers in Charleston take pride in providing locals and visitors with ingredients that are locally sourced and bursting with flavor. Visit the Charleston Farmers Market held at the beautiful Marion Square on Upper King Street, and this passion will be on full display. Charleston locals are fiercely dedicated to supporting the community, and it’s an inspiring sight to see. There is something special about eating a dish that was passed down in someone’s family for generations. Many restaurants in the Lowcountry have kept the recipes of their ancestors near and dear to their hearts, including the Gullah people, the direct descendants of the West African slaves. Traditional Gullah restaurants are hard to find in Charleston, but places such as Bertha’s Kitchen in North Charleston still offer traditional Gullah dishes, such as stewed greens, okra soup and fried pork. Gullah recipes have been passed down for centuries, reflecting their collective memory through their delicious cuisine and preserving the Palmetto State’s rich culinary heritage. Whether you are an aspiring chef or not, Charleston is an undeniably attractive place to live, work, and play. In addition to its booming food scene, the city offers residents a wide variety of perks that makes living here a dream come true. With over 300 years of storied history, Charleston is a history lover’s paradise. 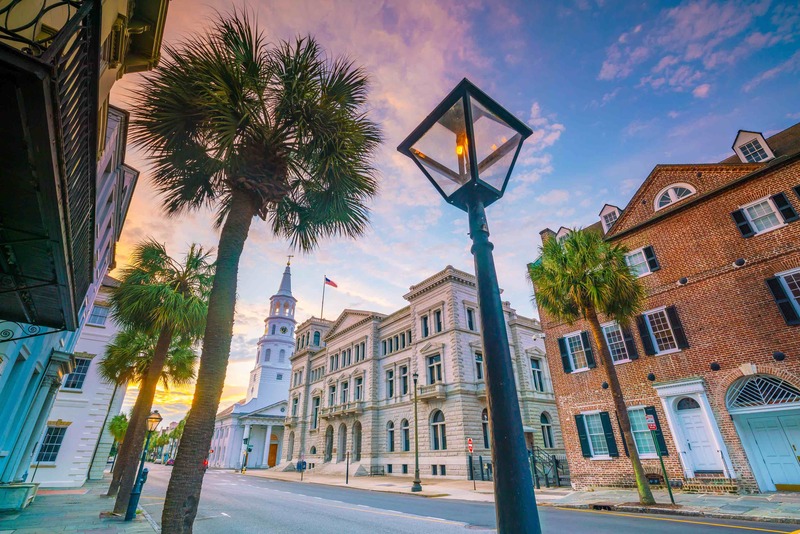 Many of the neighborhoods in Charleston are easily walkable, allowing you to stroll along cobblestone streets and view the stories etched in stunning works of art and architecture. From its original settlement by English colonists in 1670, Charleston has been home to patriots, artists, and pirates. The city has also survived wars, fires, and natural disasters, making its history particularly diverse and enthralling. In addition to its historical architecture, Charleston residents also get to enjoy mild weather for most of the year. While summers can turn uncomfortably hot and humid, winters are mild, and residents love how sunny it is year-round. If you plan to visit Charleston, consider coming in the spring. Not only are temperatures perfect this time of the year, but its food, architecture, and culture are on full display with the Wine and Food Festival in early March and the Spoleto Festival USA in May. 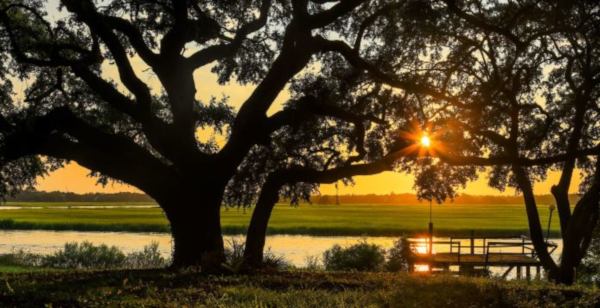 With its beautiful communities, friendly atmosphere, thriving economy, and excellent schools, it’s not surprising that Charleston is consistently named one of the “Greatest Places to Live” by Outside Magazine. If you’re looking to raise a family, you couldn’t ask for a better place to settle down. In fact, that’s exactly what former NYC chef Michael Toscano did when he left Manhattan for Charleston and opened Le Farfalle in 2016. The Holy City’s reputation for Southern hospitality does not disappoint. 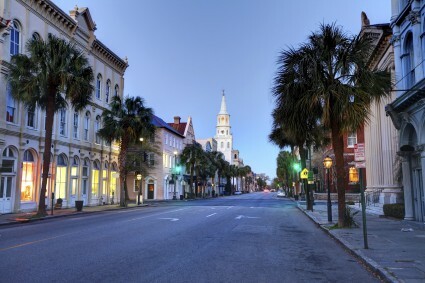 Despite being the second biggest city in South Carolina, Charleston has managed to retain a charming, small-town feel. This is partly due to the friendly nature of the locals, but also because Charleston’s historic architecture makes you feel as though you have been transported back in time. Charleston has managed to preserve much of its history and is bursting with culture. This is a source of pride for residents, many of them actively trying to preserve the many qualities that make the Holy City a unique place to live. After working hard all day in the kitchen, chefs can unwind on one of stunning barrier islands and beaches that surround Charleston. 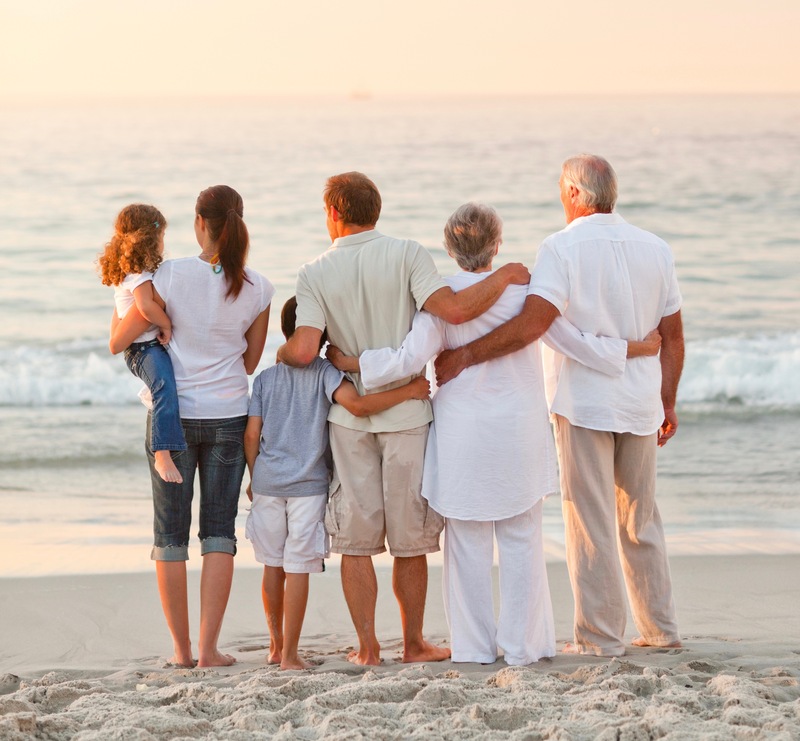 Whether you are looking to catch some waves on Folly Beach, have fun with the family on Isle of Palms, or take a day trip out to Sullivan’s Island, there is a Charleston beach that will fit your mood. One of the biggest reasons why Charleston’s food scene is so remarkable is because of the city’s thriving art scene. Although the city has been making delicious food for centuries, it wasn’t until the rise of the Holy City’s vibrant art scene that foodies began descending upon Charleston. Spurred by the Spoleto Festival in the 1970s, Charleston’s art scene has been growing steadily ever since, bringing in both international artistic talent and local artists. Today, visitors and residents can catch a performance at the Dock Street Theatre or find a piece of fine art in one of the many art galleries in historic downtown Charleston. Food and culture have always been intertwined, and this connection has never been more prominent than in Charleston. With over 300 years of culinary history, the Holy City has made the national press in recent years, thanks to its eclectic mix of new and old dishes. From traditional Lowcountry favorites to modern takes on classic dishes, you will delight in every dish. Charleston is full of culinary opportunities. With its Southern charm, mild temperatures, and historical beauty, it’s not difficult to see why so many chefs are putting down roots in the Holy City.